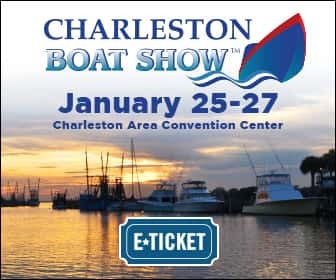 The Charleston Boat Show returns to the Charleston Area Convention Center January 25th through the 27th! Be listening to win a pair admission passes! Join Jackie Wylde from 98 Rock Friday from noon to 2 pm to kick off the event! The Coastal Fishing Expo,presented by Coastal Carolina Fisherman and sponsored by Field and Stream, is held Saturday and Sunday at the boat show and features fishing seminars from some of the top fishing experts in the country! All seminars are located in meeting rooms 11 & 12 at top of stairs by convention center box office entrance.